2014 is the centenary of the birth of the celebrated Welsh poet Dylan Thomas. 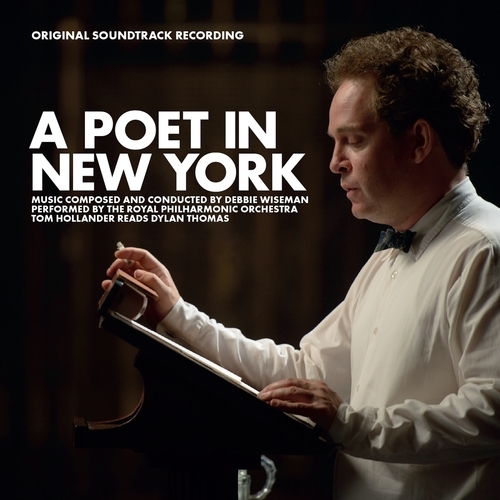 This BBC production starring Tom Hollander (Rev, Any Human Heart) captures the last few days of his life in New York with his wistful yearning for the country of his birth. Debbie Wiseman is one of the UK's most prolific composers with over 200 credits for film and TV. Her work includes feature films Tom & Viv, Wilde, Tom's Midnight Garden, Arsene Lupin and Flood. For TV, Judge John Deed, Father Brown, WPC56 and the soundtrack to Britain on Sunday mornings, The Andrew Marr Show. Awarded an MBE in 2004 she is also an acclaimed conductor and takes up the baton on this release with the world famous Royal Philharmonic Orchestra. Debbie Wiseman - Had Enough, Little Cough?